Free Shipping Included! Self-determination and the Moral Act. 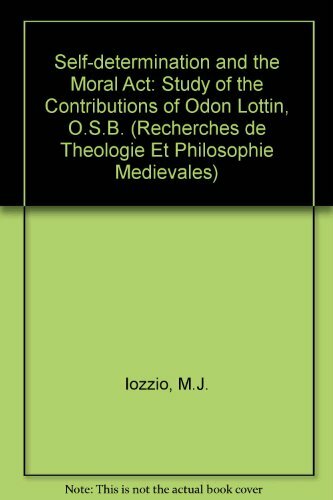 A Study of the Contributions of Odon Lottin, O.S.B. (Recherches de Theologie Ancienne et Medievale. Supplementa) by Peeters Publishers at Translate This Website. Hurry! Limited time offer. Offer valid only while supplies last.